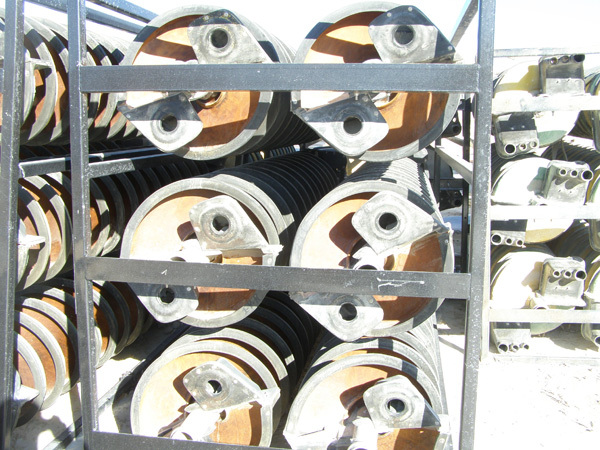 Associated Rubber and Mechanical supplied all of the rubber lined pipe spools for the Goldcorp Penasquito Project located in Zacatecas, Mexico. ARM was very responsive to our needs and supplied quality product that met our sometimes hectic design/build fast track schedule, and was supplied at a fair price. 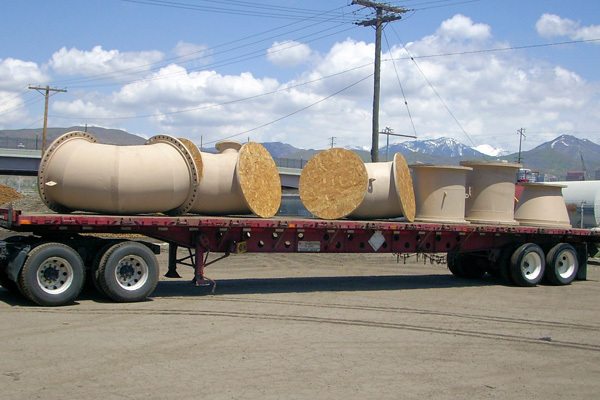 The project required a very specific shipping format to satisfy our NAFTA requirements which was handled correctly and efficiently by ARM. The project was completed ahead of schedule and appreciably under budget, and M3 appreciates the contribution made by ARM to the successful completion. Associated Rubber & Mechanicals rubber lining craftsmen have the skill and experience to rubber line the most difficult projects. 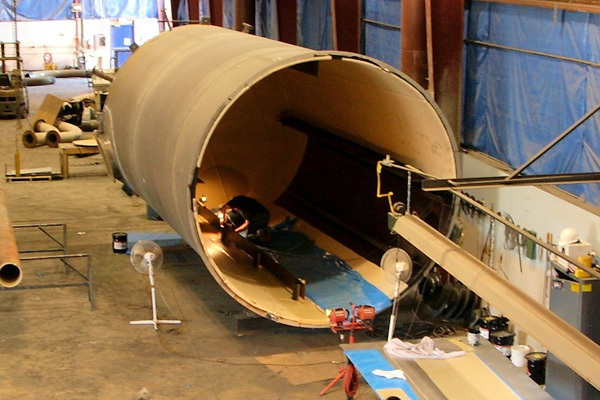 The ability to rubber line any fabrication in our facility that can be legally transported on any highway with an oversize shipping permit gives the end user a larger savings on their budget. 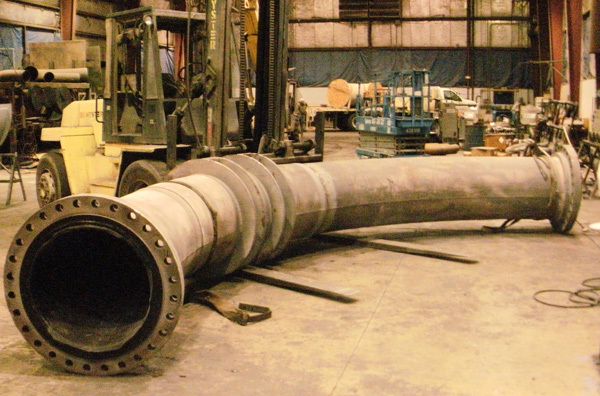 ARM also offers a complete field lining service at your plant for those projects to large to ship. All of our field crew employees are MSHA and OSHA trained and certified. 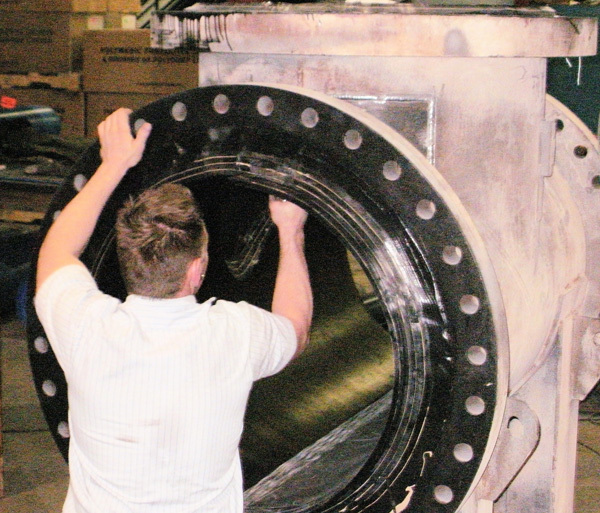 There is a wide variety of materials used in the rubber protection industry. The type of rubber protection is specific to each separate application. 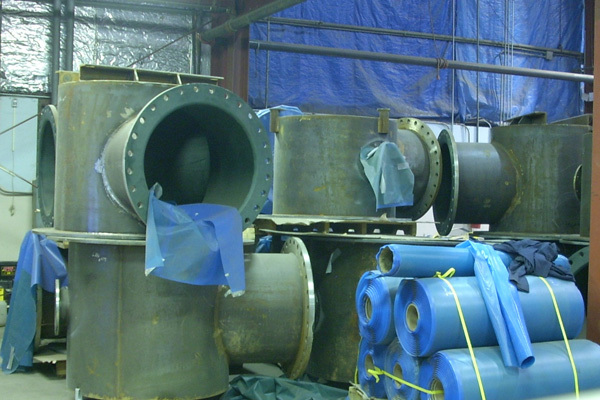 Rubbers to inhibit abrasion, and corrosion from harsh chemicals include: Naturals, Gum, Neoprene, EPDM, Nitrile, Ebonite, Hypalon, Triflex, MOR and Chlorobutyl. These rubbers come in different thicknesses and durometers (a measure of how hard the rubber is after being cured). 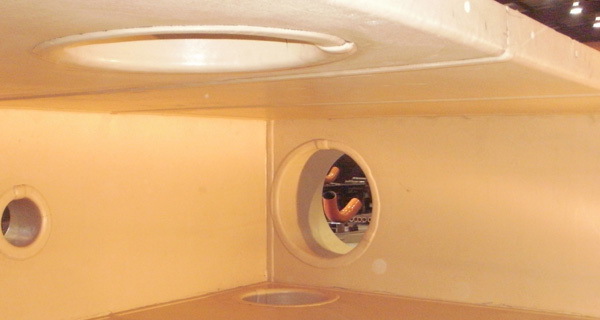 Durometer ratings are critical in the rubber lining applications where abrasion and wear is a concern. 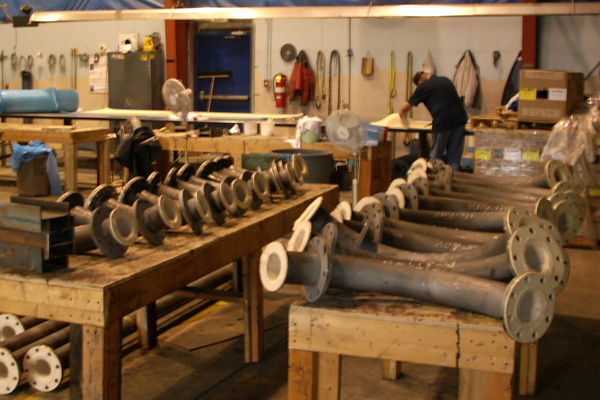 Our rubber lining team has the experience and skill set to apply and cure all of the rubbers listed above. 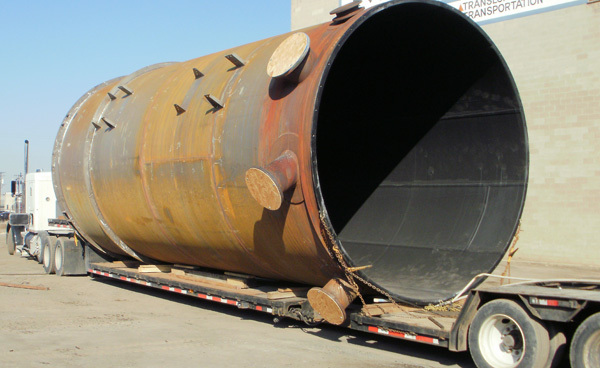 Rubber lined pipe and tanks are covered for shipment and UV protection. An anti aging chemical can also be applied to the product to help with UV protection if required. 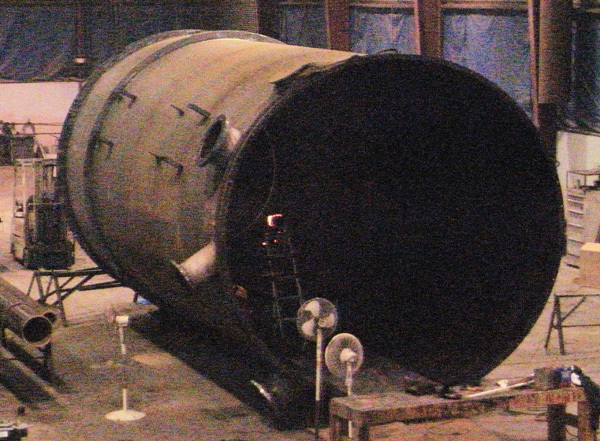 ARM ceramic lines tanks, chutes and piping using Alumina ceramic tiles. 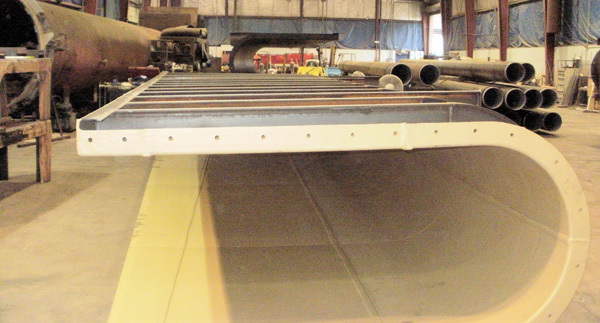 This supplies a greater abrasion sliding resistance in applications where wear and heat are at an extreme. 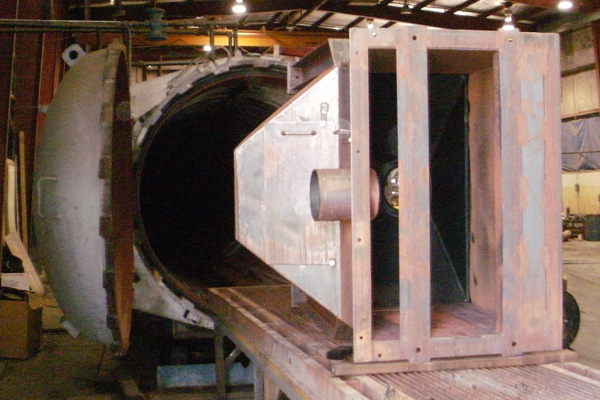 At ARM we have a 7’x 50’ Autoclave. This gives the ability to offer a longer spool of cured pipe, helping eliminate the need for shorter spools and keeping all associated costs at a minimum. 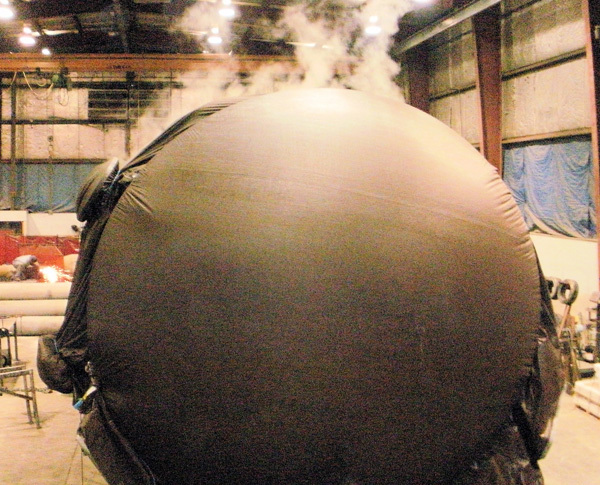 The ability to open steam cure those larger weldments during the winter months can be done inside our plant. 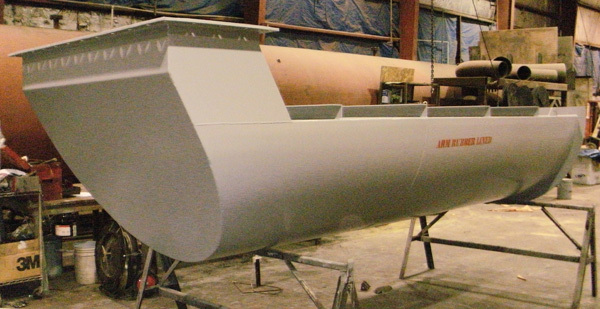 This creates a better bond and cure of the finished product giving it a longer overall life. 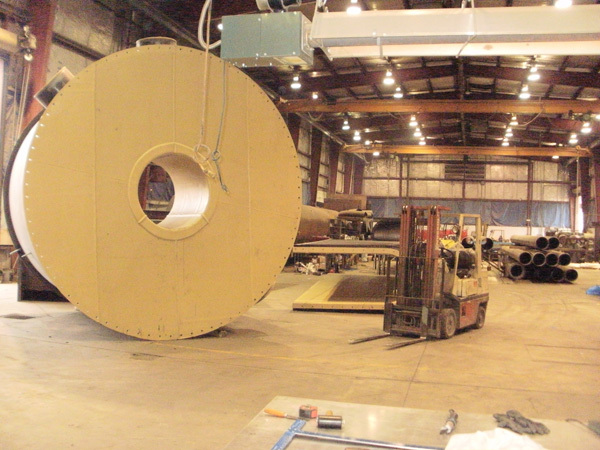 We have cured up to 15’ diameter x 40’ long vessels inside our plant. 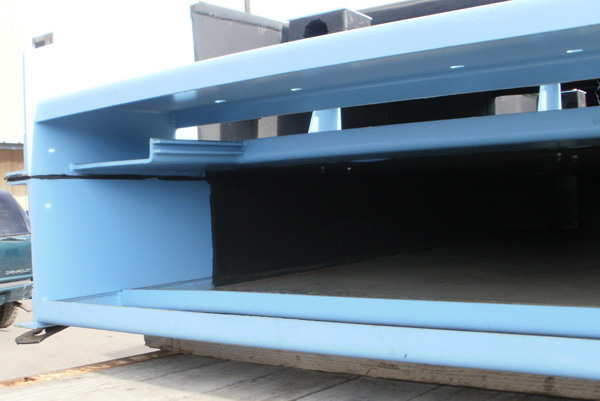 With (2) 5 ton cranes in the rubber shop and a ceiling height of 26’, a rail system built into the floor, the required forklifts, scissor lifts and means to move any weldment, opens up the possibilities of any rubber lining requirements.